In 2013, work began on a monument which would welcome all visitors to the Salesian campus and reflect the spirit of all alumni. 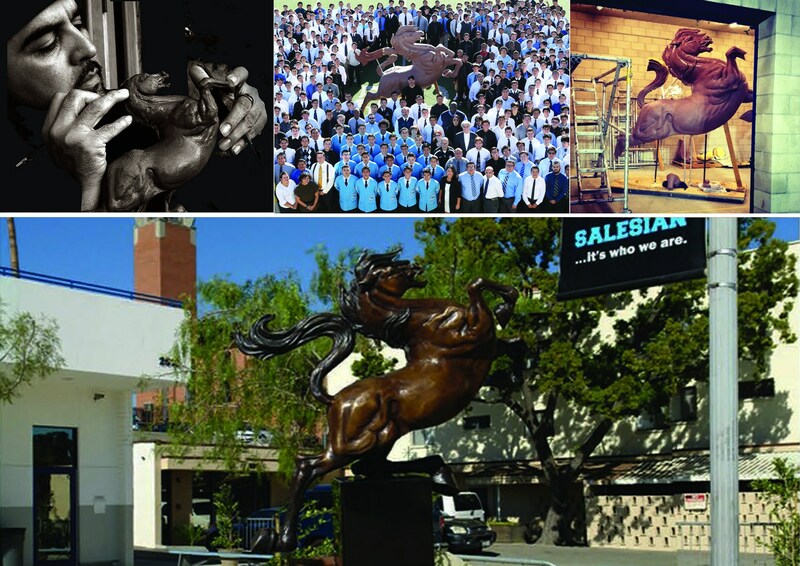 The monument is a gift to Salesian High School on behalf of every graduating class since 1962. Renowned sculptor and Salesian alumnus, Dan Medina '86, has created the stunning 18' monument which will be installed on the school's plaza level. As of April 2019, work on the statue has begun with the concrete base poured and electrical wiring for lighting installed. Due to the size of the monument, casting of the monument will take place in pieces, with full installation taking place by the end of summer/fall of 2019. An updated list of all plaques reserved thus far will be posted by May 1st on this page. Donors are asked to review their donations to class plaques and check for spelling errors. If a donors name does not appear on the list, please contact the school's development office to verify payment. 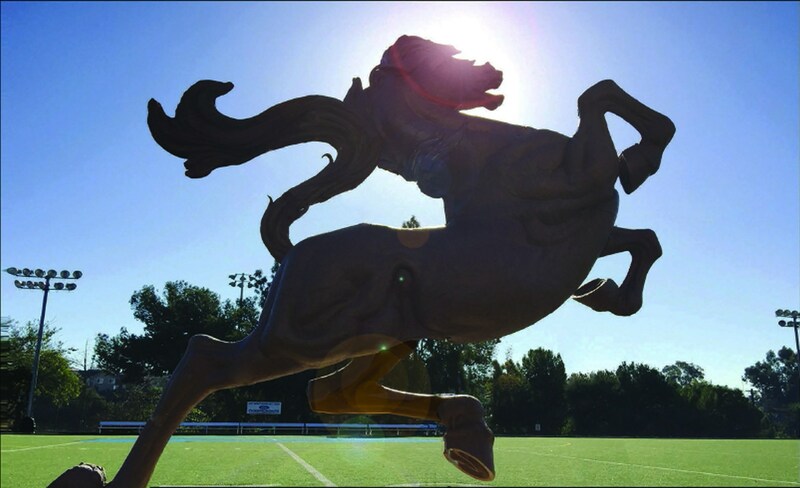 As the OAM Monument Project is a school-wide fundraiser for scholarships, all money raised in excess of capital costs will be used for student tuition assistance. Plaque pricing will steadily increase as the installation time frame approaches. Please review the following pricing information based on the current date.